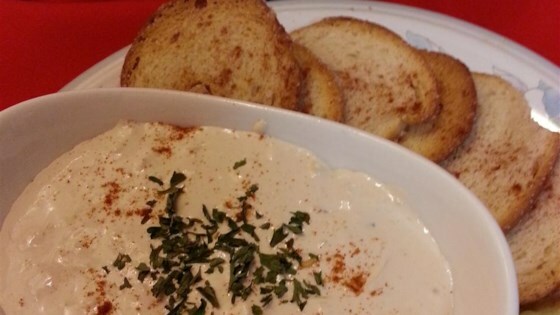 "Serve this Irish beer and cheese dip with pretzels for a tasty snack. You can use any Irish cheese you prefer if Dubliner isn't available to you." Place the cream cheese in the bowl of a food processor; pulse the cream cheese while adding the Guinness and Worcestershire sauce. Add the garlic and Dubliner cheese; process until smooth. Spoon the mixture into a serving bowl; cover. Chill in refrigerator overnight or 8 hours before serving. Possibly the most rich and decadent way to celebrate St Patrick's Day! This wasn't my favorite, but everyone else loved it! As with most things, sitting overnight in the fridge blends the flavors and makes it more intense.